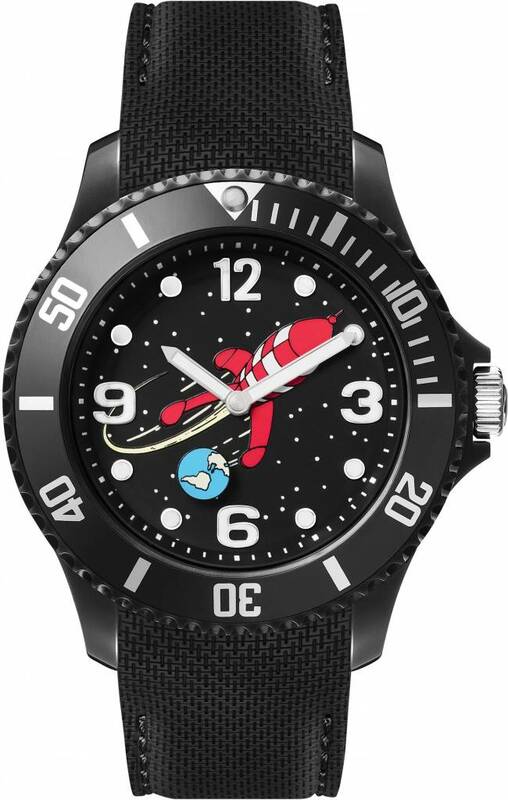 Home » Watch - Tintin Moon Rocket "L"
Tintin (Kuifje) Watch - Tintin Moon Rocket "L"
Logo of Tintin and Bobbie on the back of the timepiece. 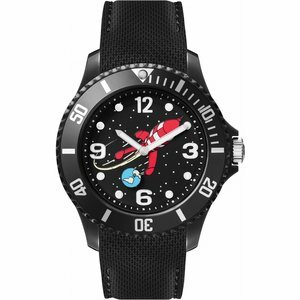 Sold in a BECUBIC box of the same color as the watch. 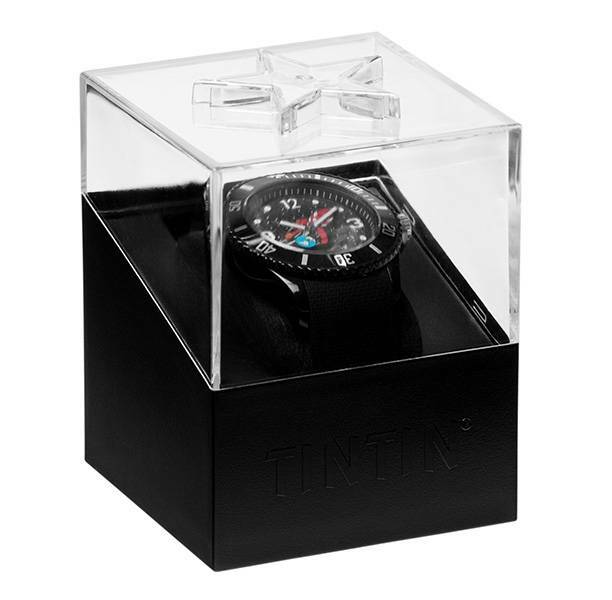 The Tintin logo is engraved on both sides of the box.